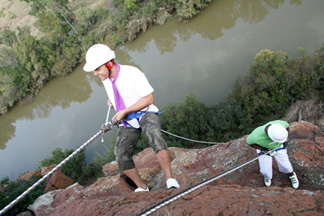 Abseiling is defined by lowering oneself from a mountainside with a rope coiled around the body. Try this adventure activity under the skilled supervision of our qualified and well trained facilitators. This activity is venue dependent and will definitely challenge your fear!